DECATUR, Ind.-- Fleetwood RV, Inc., a leading producer of high-quality Class A and Class C recreational vehicles, announced the launch of its 2010 Bounder Classic, a value-priced Class A gas motor home, to consumers during FMCA's summer rally in Bowling Green, Ohio on July 20 - 24, 2009. 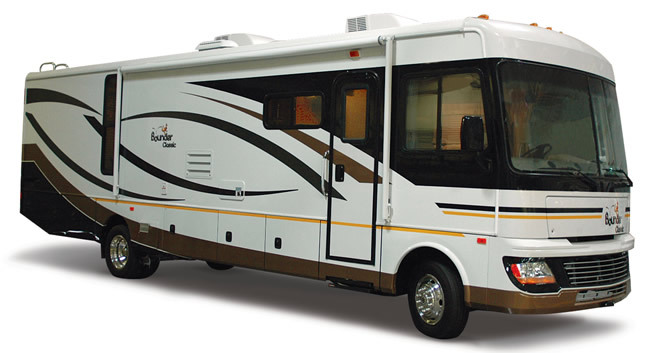 The 2010 Bounder Classic is available in three models: a 30-foot, dual-slide floor plan (30T); a 34-foot, dual-slide mid-ship TV floor plan (34W); and a 35-foot, dual-slide mid-ship TV floor plan with bunk beds (35S). "Bounder Classic is a great example of our founder's original vision - building high-value motor homes that meet the needs and exceed the expectations of our customers and dealers," said John Draheim, president of Fleetwood RV, Inc. "During FMCA, as well as the Fleetwood MotorHome Association's national rally, we had units on display and the owners in attendance openly expressed their enthusiasm about the coach's functional features, wealth of practical amenities and price point. In fact, we have already seen that enthusiasm turn into retail sales, so we are very optimistic about Bounder Classic's long-term success in the marketplace." "Bounder Classic is the right motor home at the right time," said Frank DeGelas, general manager of Mike Thompson's RV Superstores in Southern California. "It's a high-function, high-value coach that appeals to a wide range of RVers, much like the original Bounder did in 1985. Back then I was excited to take delivery of the first Bounder - a motor home that changed my business overnight - and now 25 years later I am once again excited to take delivery of the first Bounder Classic. 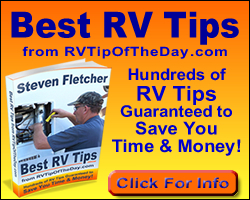 It embodies the legacy of Fleetwood's founder, John Crean, and makes the RV lifestyle more accessible in this challenging economy." Exclusive features on the 2010 Bounder Classic include an "expandable" Queen bed; recessed stainless steel galley sink; innovative storage features such as adjustable cabinet shelving and engine cover snack tray with utility storage drawer. Interior highlights on the 2010 Bounder Classic include raised panel cabinetry, beautiful interior decor selections, and 8-cubic-ft refrigerator. Exterior highlights include Fleetwood's exclusive PowerPlatform(R) construction, Dometic(R) patio awning, large exterior pass-through storage compartments, and insulated, side-swing luggage doors. Other standard features on the 2010 Bounder Classic include tinted, dual-pane windows, high-gloss fiberglass exterior sidewalls, reflective vinyl graphics, and molded fiberglass rear cap. MSRP for the 2010 Bounder Classic starts under $100,000. For more information about the 2010 Bounder Classic, or any Fleetwood RV, Inc. motor homes, please call 1-800-322-8216 or visit www.fleetwoodrv.com.